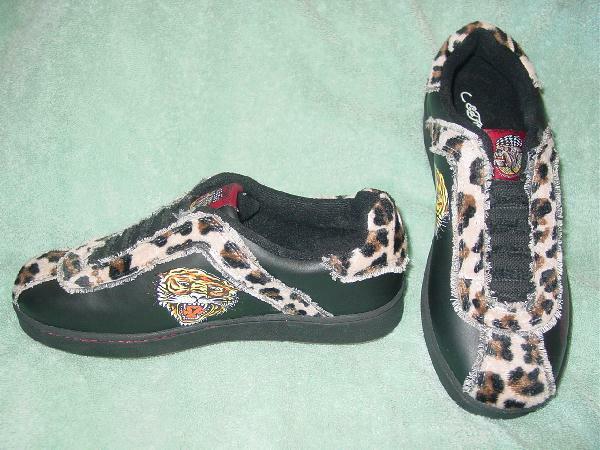 These never-worn women's tiger black leather shoes have a sneaker styling. 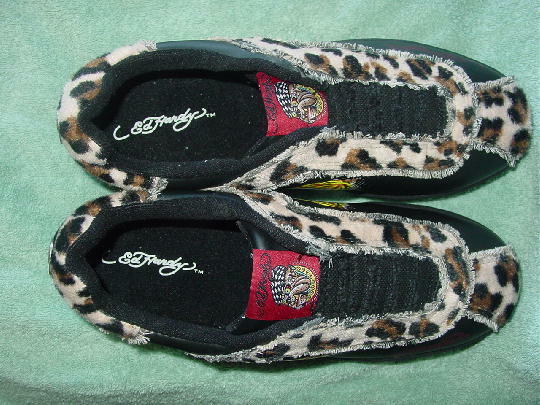 They have high-low wavy rubber soles with Ed Hardy written in black letters down the center. 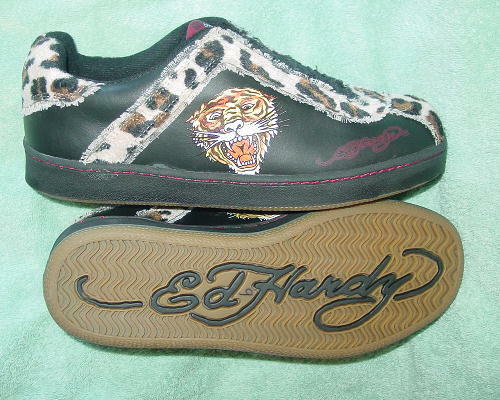 There are black fabric linings and insoles with Ed Hardy written in white letters on the insoles. The shoes have a bicycle toe design. 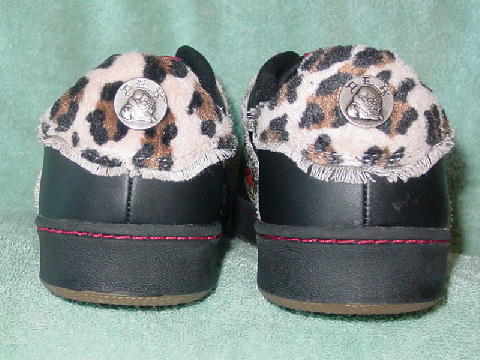 They have a faux lace styling in black with an animal print design in bone, brown, and black, and a red tag with the face of a bulldog. The sides and lower back are in black leather with a yellow, brown, white, and orange tiger. The back has an elevated metal logo design on the upper section. They were made in Vietnam. She bought several styles in several sizes for a photo shoot. The original price was $120.00 plus tax.